RCN's Ed Freshwater says bullying issues are still not being taken seriously enough. Toxic work environments and an NHS culture of ‘put up and shut up’ about bullying behaviour is affecting nurses’ mental health to a dangerous degree, says the RCN. Last week, an inquest ruled that a mental health nurse, Rhian Collins, from Cefn Coed Hospital in Swansea had deliberately taken her own life. Mother-of-two Ms Collins complained she had been bullied, sworn at and given the worst night shifts before her suicide in March this year. She had also told her family that colleagues would verbally abuse her and make her life at the hospital 'very difficult'. But RCN mental health forum chair Ed Freshwater said the issue of bullying was still not being taken seriously enough across the NHS. Mr Freshwater said despite processes and procedures being in place, he had never met anyone who had complained of bullying through official channels and thought it had been handled properly. He said: ‘There are a huge number of nurses who just “put up and shut up” and part of the job is seen as needing to just knuckle down and get on with it. ‘If you “cause trouble” by reporting bullying, often you will get a reputation as a troublemaker – that is how harm comes to people, really. Mr Freshwater said the needs of nurses had been put aside in recent years as problems with ‘understaffing, short staffing and illegal staffing’ had worsened in the health service. ‘Anyone who finishes on time on a ward is seen as lazy – if you are not killing yourself for the job you are seen as not caring and compassionate enough – we have to martyr ourselves. ‘As a profession, we are absolutely terrible for self-care – we are the worst at caring for ourselves. Mr Freshwater said teams were becoming fractured and team work lost because people feel ‘consistently stressed out’, without time to sit down and share concerns or grievances in a helpful way. 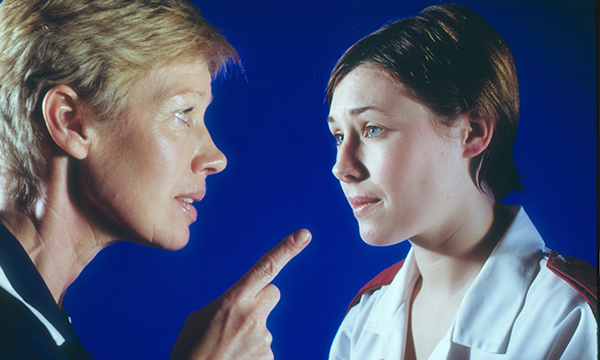 Last week the RCN announced its support for an anti-bullying in healthcare campaign set up by the Royal College of Surgeons Edinburgh (RSCed). RCSEd president Michael Lavelle-Jones said: 'Bullying and undermining affect all parts of the NHS workforce regardless of grade, seniority and experience.